Iranian Foreign Minister Javad Zarif has responded to recent accusations by US President Donald Trump, who slammed the Islamic Republic for threats of "genocide against the Jewish people" by tweeting that the Iranian Jewish population will commemorate "40 years of progress" along with their compatriots. His statement comes ahead of the 40th anniversary of the Islamic Revolution. Zarif also slammed modern US policies, which, as the foreign minister wrote has, "led to the support dictators, butchers and extremists". He also insisted that these policies have "brought ruin" to the region. Iran's Jewish population, which was estimated at around 100,000, drastically dropped following the Islamic Revolution in 1979, due to massive emigration to Israel and other countries. The remaining population met with supreme Iranian leader Ayatollah Khomeini, who stated that Iranian Jews were "separate from the godless, bloodsucking Zionists" and guaranteed their security. The 2012 census estimate the Iranian Jewish population to around 8,756 individuals. 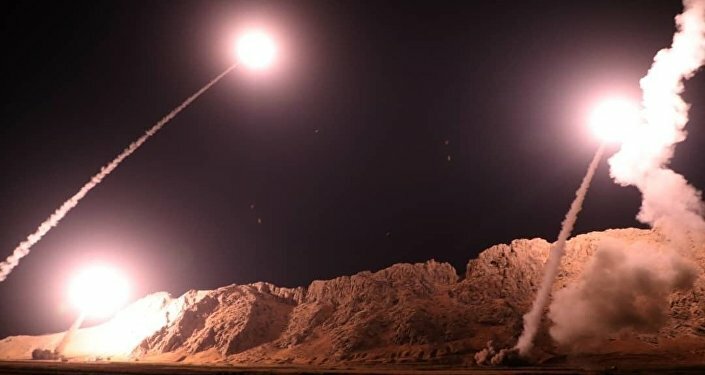 At the same time, Iran denies the right for the State of Israel to exist and has repeatedly called for its destruction, with Secretary of Iran's National Security Council, Ali Shamkhani, stating on 29 January that the "resistance forces in Gaza and Lebanon" are ready to unleash an "inferno" against Israel. Tel Aviv has vowed to counter any Iranian attempts to attack the country.